If ever there was an aircraft of immense interest whose exploits have gone, for the most part, unrecorded and unnoticed, it must surely be De Havilland Canada's Otter. 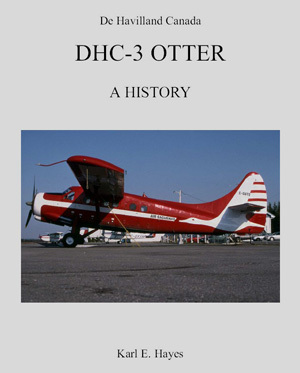 The DHC-3 Otter first flew in December 1951 and ever since it has faithfully served its operators, both military and civil, mostly in remote parts of the world. Despite its many achievements and the great amount of important work it has performed over the years, very little has been written about the aircraft. The Otter was heavily involved in the Antarctic exploration programme of the late 1950s and early 1960s, but writings on this topic usually concentrate on other types of aircraft that were involved. It made a huge contribution in many outback parts of the world to their development. In US Army service it was instrumental in mapping and survey work in the Americas, from Alaska all the way south to Chile, as well as in northern Africa and yet these roles are largely unknown. In Vietnam it saw ten years of combat service and yet books on the South East Asian conflict either ignore the Otter completely or mention it only in passing. 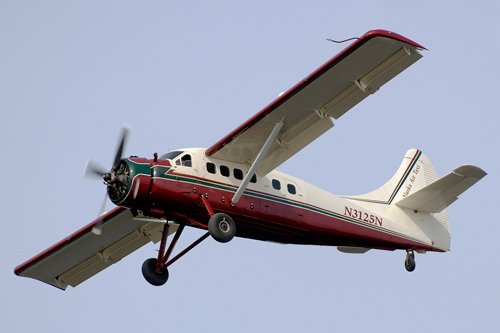 In its home country, as in Alaska, it must surely be the ultimate bush aircraft and yet it is usually mentioned, if at all, in passing as being "a big Beaver", which it is but it still merits discussion of its own achievements. It is hoped that the CD which has been published addresses these shortcomings and pays adequate regard to the history and work of the Otter. It is an attempt to gather together all information that could be ascertained on the Otter. The CD contains in excess of 800 pages and 300 colour photographs. It details the individual histories of all 466 Otters built, of which approximately 160 are still flying. The majority of these Otters still active have been converted to turbine power, and so should remain flying for many years to come. The CD will be updated periodically to report on these developments. It also contains a full rundown on all military, government and civilian users of the Otter, with squadron histories of the military users. Alaska Air Taxi's DHC-3 Otter N3125N coming in to land on Anchorage/Lake Hood's short airstrip, in the early evening of 13 June 2006. Photo by Aad van der Voet. The contents table of the CD lists the following chapters: Preface, Development and Production, Production List, United States Army, US Army Otter Units, Military Users, Commercial Operators, Power for the Otter, Otter Support and a Registration Index. Payment is by cheque or cash and the prices are US$30, CAD$31, £15 or EURO 20, which includes return postage. Please be sure to include your address to post the CD to. The author's e-mail address is: and anyone with additional information on the Otter is certainly welcome to contact the author so that any new information is included on future updates of the CD. Periodic updates will be published to report on developments to the Otter fleet since the publication of the CD, the information on which was correct to 1st January 2005. Update 1 was issued with the CD, and Update 2 and 3 can be downloaded below, free of charge. Download Update 2 - correct to 1 January 2007. Download Update 3 - correct to 1 January 2008 (includes all Otters still in service in 2007, and their engine type). Right-click on the download links above and select 'Save Target as' or 'Save Link As' from the menu to download the Updates as PDF documents. This page hosted on behalf of Mr. Karl Hayes, Ireland.